You have probably heard the term “web 3.0” floating around the internet. 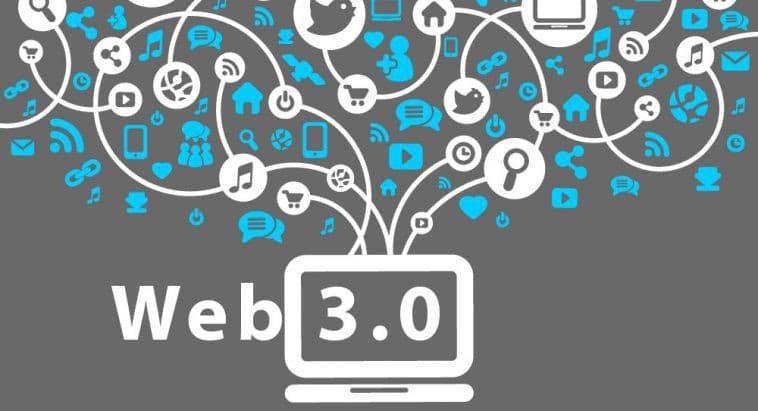 Simply put, web 3.0 is the new phase of the internet’s evolution. The changes that web 3.0 is bringing to the internet is going to take it to a whole new level. Computer scientists and Internet experts believe that these changes are going to make the internet smarter and our lives easier. So, to understand these paradigm-shifting changes, let’s first look at the evolution of the internet as we know it. As we are going to see soon, the internet has evolved along with our needs and uses. Believe it or not, there used to be a version of the internet that existed before social media and video streaming! This was a time before Google in the mid-to-late ‘90s. 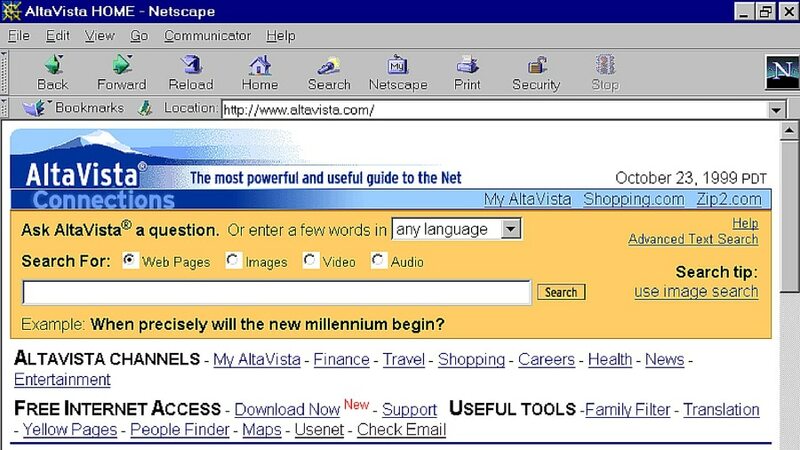 The internet used to be dominated by AltaVista and Netscape. Back then the internet existed to only advertise their brick-and-mortar companies. These websites were “read-only web,” meaning you were only allowed to search for information and read it. Most e-commerce websites are still web 1.0 in nature since the concept behind them is simple. Present products to the customers and take money from the ones who are interested. These websites are usually very smooth and fast, however, the level of user interaction is minimalistic. 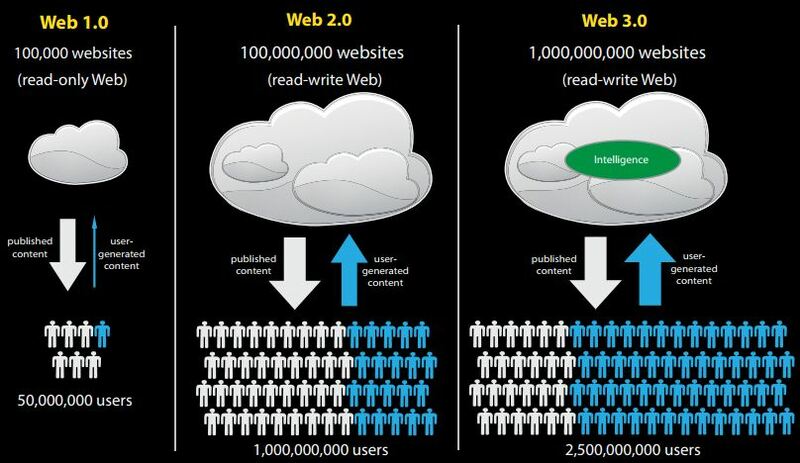 The next iteration of the internet was called the “web 2.0” or the “read-write” web. Now, users were not just idle visitors, they could create their own content and upload it to a website. Starting roughly around 2003 when the term was coined by Dale Dougherty, Vice President at O’Reilly Media, web 2.0 has taken over the world by storm. In just over a decade, it has completely redefined marketing and business operations. Instagram Influencers can make or break a brand by posting one single photo, Yelpreviewers can destroy a restaurant by one single negative review. Audience reviews are critical when it comes to buying decisions. According to a survey, 90 percent of customers reading online reviews before purchasing and 88 percent of them trusting them as much as a personal recommendation. Web 2.0’s main aim was to make the internet more democratic and make it as user-accessible as possible. Chances are that you are pretty familiar with the concept of web 3.0 already. Does this seem familiar to you? 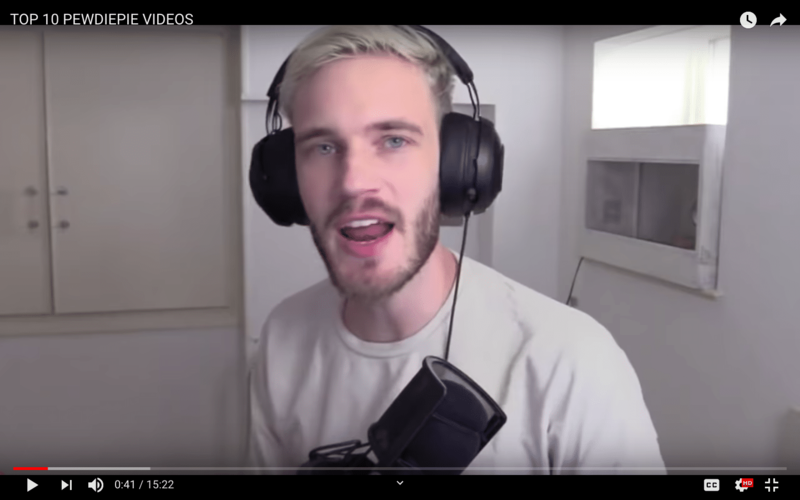 Every time you buy something on Amazon, the website’s algorithm will look at the other items that people who have purchased your product went on buy and then recommends that to you. So, think about what is going on here. The website is learning from other users what your preferred choices can be and then use it to recommend to you what you may like. In essence, the website itself is learning and becoming more intelligent. That, in a nutshell, is the very philosophy behind web 3.0. Web 1.0 was primarily driven by content that came from the business or the institution for its customers. Web 2.0 took things a little bit further by allowing users to upload and share their content on the website itself. Web 3.0 allows online applications and websites to receive information that’s on the Web and give new information/data to the users. Ok, so what does that mean in simple language? What does semantics really mean? What is the difference between “I love Bitcoin” and “I <3 Bitcoin”? The syntax between the two sentences is different but the semantics between the two is identical. Semantics deals with the meaning or the emotion conveyed by the data, and in our case, both of those sentences express the same sentiment. Semantic web along with artificial intelligence are the two cornerstones of web 3.0. The semantic web will help teach the computer what the data means and that will evolve artificial intelligence that can utilize that information. The core idea is to create a spiderweb of knowledge across the internet which will help it to understand the meaning of words to generate, share, and connect content through search and analysis. Thanks to semantic metadata, Web 3.0 will help in greater connectivity between data. As a result, the user experience evolves to another level of connectivity that leverages all the available information. Up next we have artificial intelligence. Currently, along with the blockchain technology, AI is the hottest and the most disruptive tech out there. According to Wikipedia, “In the field of computer science, artificial intelligence, sometimes called machine intelligence, is intelligence demonstrated by machines, in contrast to the natural intelligence displayed by humans and other animals.” As such, artificial intelligence will help machines become more intelligent to satisfy the needs of users. Peer reviews, as we have already mentioned, is one of the biggest contributions of Web 2.0. However, as we know, human recommendations are not incorruptible. A group of people may get together and give positive ratings to an undeserving movie, boosting their ratings up. Artificial intelligence can learn how to separate the good from the bad and gives us reliable data. Web 3.0 is going to change the future of the internet develops from the simple 2D web into a more realistic three-dimensional cyberworld. The three-dimensional design is being used extensively in websites and services in Web 3.0 such as online games, e-commerce, real-estate industry etc. As alien as this concept sounds, the fact remains that there are thousands of people around this world who are already interacting in this space. Think about online games like Second Life or World of Warcraft where users are far more interested in the well-being of their online avatars than their real-world selves. Philip Rosedale, the founder of Second Life, believes that virtual identities will become as popular as email addresses and mobile phones. This may seem far-fetched but remember that just 20 years ago in 1997, only a handful of people owned their email addresses. There is every chance that the amount of people with 3D identities is going to be on the rise. Ubiquitous means the idea of existing or being everywhere, especially at the same time i.e., omnipresent. We have already got this feature in Web 2.0. Think of social media websites like Instagram, users capture images on the camera and they can upload and distribute it online where they become their intellectual property. The image thus becomes accessible everywhere aka ubiquitous. Development of mobile devices and internet access will make the web 3.0 experience available anywhere at any time. The internet will no longer only be on your desktop like with Web 1.0, or your smartphone, like Web 2.0. It will be omnipotent. Web 3.0 may as well be called the web of everything and everywhere, as most things around you are connected online aka Internet of Things. We are slowly reaching this level, but we are steadily getting there. Vastness : The internet is HUGE. It contains billions of page and the SNOMED CT medical terminology ontology alone includes 370,000 class names, and existing technology has not yet been able to eliminate all semantically duplicated terms. Any reasoning system which can read all this data and understand its functionality will have to be able to deal with vast amounts of data. Vagueness : User queries are not really specific and can be extremely vague at the best of times. Fuzzy logic is used to deal with vagueness. Uncertainty : The internet deals with scores of uncertain values. For example, a patient might present a set of symptoms that correspond to many different distinct diagnoses each with a different probability. Probabilistic reasoning techniques are generally employed to address uncertainty. Inconsistency : Inconsistent data can lead to logical contradiction and unpredictive analysis. Deceit : While AI can help in filtering data, what if all the data provided is intentionally wrong and misleading. Cryptography techniques are currently utilized to stop this problem. Increased information linking: Semantic web will help in the connectivity of online data. Less advanced devices will not be able to handle Web 3.0. It can be very complicated for newcomers to understand. So, there you have it. We are on the verge of a real internet revolution. While it is true that there are several challenges to Web 3.0 implementation, the sheer innovation that it can bring to our lives is truly mind-boggling. While there is a lot of hype, we still need some practical use-cases of Web 3.0 to truly understand the positive changes it can bring to our lives.